Mario Barnes, a professor at the University of California, Irvine, will become the University of Washington law school’s dean. Mario Barnes, a professor and associate dean of the law school at the University of California, Irvine, has been named dean of the University of Washington School of Law. 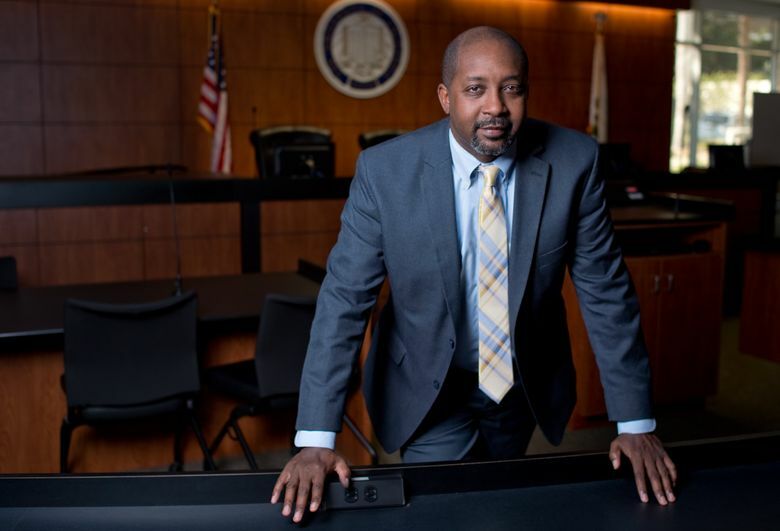 UW officials say Barnes, who is senior associate dean for academic affairs at Irvine, is recognized nationally for his research on the legal and social implications of race and gender, primarily in the areas of employment, education, criminal and military law. In 2015, the National Jurist magazine named him one of 20 national leaders in furthering diversity efforts in legal education. His expertise in diversity and equity was cited by UW President Ana Mari Cauce and Provost Gerald Baldasty as the reason for his choice to lead the law school. He will become the second African American lawyer to lead the law school. The UW’s first black law school dean was W.H. “Joe” Knight, who served from 2001 to 2007. The UW has struggled to attract black and Hispanic students to its law school, so much so that in 2015, the university started a program to support minority law students, giving them UW scholarships to help defray tuition costs and guaranteeing them summer fellowships at local law firms. Former UW dean Kellye Testy, who now leads the national Law School Admission Council, has said that the UW law school routinely admitted many minority students who didn’t enroll. Some changed their minds about going into law, while others were snatched away by top schools like Stanford or Harvard. Barnes spent 12 years on active duty in the U.S. Navy, including work as a prosecutor, defense counsel and special assistant U.S. attorney. He served on the commission that investigated the 2000 bombing of the USS Cole in Yemen. Barnes earned both his bachelor’s degree in psychology and his law degree from the University of California, Berkeley, and completed his master of laws at the University of Wisconsin. Before joining University of California, Irvine, in 2009, he was a faculty member at the University of Miami School of Law, where he was twice selected as the Black Law Students Association’s outstanding law professor. Barnes will be paid $386,400 a year. The appointment is subject to approval by the UW Board of Regents, which meets early next month.